Official direct download links for various versions and editions of Windows 7 ISO images in various language combination. Microsoft typically does not provide official downloads for Windows 7 operating system, neither through HTTP nor through P2P file sharing such as BT (Bit Torrent). So how’s the official direct download links of Windows 7 come about? Various web-based online store fronts and retailers (e.g. Digital River) sell Windows 7 licenses, and to fulfil the orders, the online stores host and provide digital downloads of Windows 7 set up installation files in the form of ISO image, which can then be unpacked and extracted, or used to mount on virtual drive and burnt to a DVD media disc to clean install Windows 7 on a blank PC or upgrade a system from existing operating system. Here’s a list of available direct download links for Windows 7 ISOs. As not all editions of Windows 7 is sold online, and not all language versions is sold online, only a few editions or language versions of Windows 7 ISO images’ download links are available. Note: Use download manager to ensure proper download as the file size is bigger than 2GB. All ISOs above contains Windows 7 RTM build version 6.1.7600.16385. 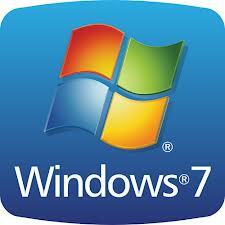 Tip 1: To convert an installed Windows 7 to another language, download Windows 7 language packs and install. Tip 2: To enable selection of Windows 7 edition to install during setup, uses ei.cfg Removal Utility. Tip 3: Use Windows 7 ISO Image Edition Switcher to change edition of a Windows 7 ISO. © 2013 Laptop Repair Leyland.